Over the last few days I have spent some time trying to better understand the role of foster parents in a student’s educational life. What I have found, unfortunately, is a lot more questions than answers. Foster care and adoption is somewhat of a new area for me. I teach English as a Second Language to middle school students. While there are many similarities between the needs of these parents and students, the role of foster parents is an area all of its own. One that I feel may be underserved and one that I am seeing is incredibly difficult to navigate. After talking with a few colleagues, I began to recognize a few (of I’m sure, many) obstacles that really hinder foster parents from truly being involved in the decision making and planning for their child’s educational needs. One of those obstacles is the fact that in many instances the biological parent(s) still have educational rights. This means that even if certain other rights have been terminated, the parents could still have the right to make educational choices. This would pertain to IEP (Individual Educational Plan) meetings, disciplinary hearings, or any other official meeting/decisions. Unless it has been documented in the student’s cumulative record in the school building, school personnel must do their due diligence to contact the biological parents for meetings, decisions, signatures, etc. 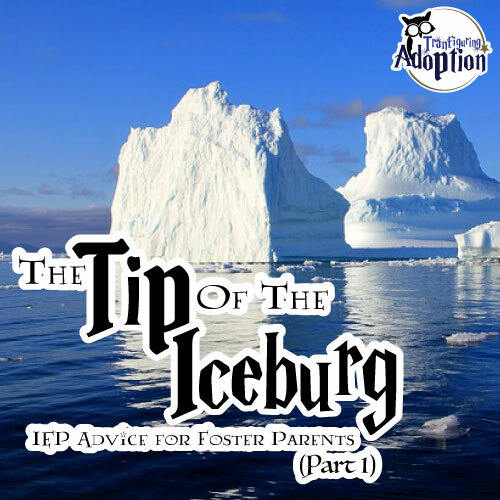 This can go as far as making home visits for paperwork to be signed or drawn out attempts to contact and request the biological parents cooperation. This can cause a great amount of frustration for foster parents who are caring for the child and making many decisions on behalf of the well-being of the child, but have no rights to make decisions for their educational well-being. Furthermore, because biological parents retain educational rights, foster parents are not privy to any confidential information. Over the next few weeks I will help you dig further into what you CAN do as foster parents to help guide your child(ren) through the school system and help them get the resources and services they need to help them be the most successful. As I go through this, feel free to comment or e-mail me specific questions or situations that I can help you explore. I will tell you up front, I don’t have all of the answers, but I do commit to helping however I possibly can by pointing you to resources and helping you navigate doing what is best for the children in your care. We’re almost to the end of Harry’s first big adventure at Hogwarts School. Harry has been through a lot in this book. Harry discovered that he was special. Harry has made close friendships. Harry has found that he has talents for things like Quidditch. Harry has learned more about his biological family. Do you think this chapter is exciting? There are so many things happening. There is a lot of dangerous tasks, and each person in the trio must use their special talent to get the crew closer to who has stolen the sorcerer’s stone. 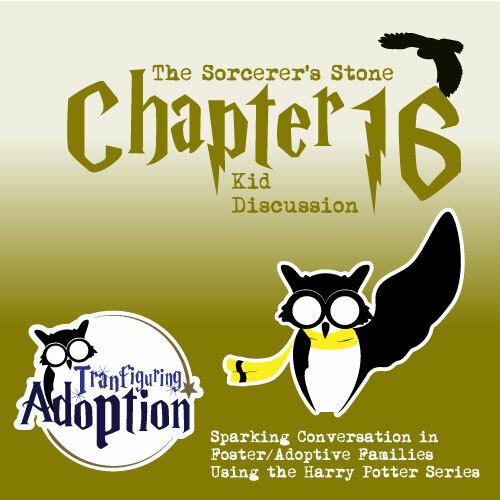 We noticed in this chapter that Hermione really shines in getting past the enchantments protecting the stone. She gets the boys out of danger from the Devil’s Snare plant. She figures out the logic puzzle so that Harry and her drink the correct potions. Harry even praises Hermione by telling her that her cleverness is wonderful, and that he couldn’t have gotten so far without her book smarts. Usually Hermione is seen as the geeky kid who has nothing better to do but study all the time. However, her knowledge was huge in keeping Ron and Harry alive during this chapter. Without Hermione, the boys would have more than likely perished. This leads our family to talking about school. Our kids like certain subjects in school, but as a whole, they would all prefer staying home and playing the Wii all day long. Jasmine would love nothing more than if school were an endless day of science experiments and art classes. 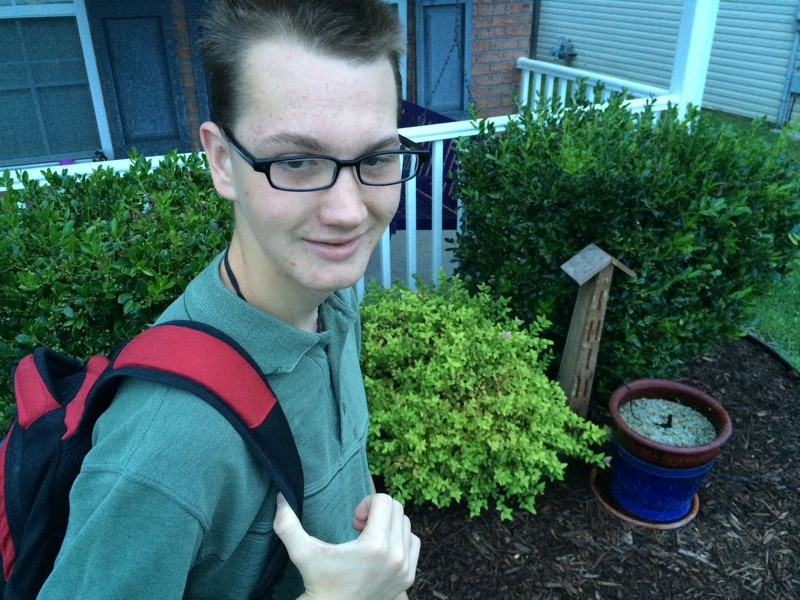 Matthew would love health class so that he can learn how the human body works and how to keep oneself healthy. Cody could talk about current events all day long, while Dalton would like to go to recess. If you want to have your own house someday, you have to be able to know certain skills like how to handle money. Getting your dream job means that you have to have enough knowledge to get the job. Having a family requires a lot of skills like reading recipes, doing math to pay bills, general science to know how to care for a person, etc. The difficult thing is that foster kids sometimes have had to care for themselves for so long that learning doesn’t seem important. Really?! Sure. I mean at least one of my kids had to worry about finding food when they were little. Unfortunately, that fear doesn’t just go away. It’s hard to be concerned about wanting to get a good job and have a family when you’re still scared that you might not have food today. What if your biological parents couldn’t care for you properly, you had abusive foster parents, and you had to leave several other homes? Would you want to learn when you think that adults either leave you or don’t know what they’re doing? Well, if we all agree that school is important but agree that it’s hard for a foster kid to learn, then what needs to happen. My kids believe it’s simple really. Foster and adoptive kids need to talk to their parents, counselors and trusted adults about their fears and anger. Only when you talk about your feelings can other people try to understand and help you. However, I don’t think that it is a simple fix. In our house one of my kids does better not worrying about food, BUT Margie and I still find hoards of food in their room from time to time. I guess what I’m trying to say is that other trusted adults will help you a lot, but don’t be discouraged if those old feelings come back to get the best of you. It’s normal, and it happens. Which protective enchantment would scare you the most? What are things you have to learn in school to get your dream job? Do you like school? Why or Why not? Are you ever scared that you won’t have enough food to eat? If yes, does your house have plenty of food? How do you know that your foster/adoptive parents take care of you? Please share your thoughts, advice and questions with us in the comments section. Your ideas will help other kids and families that are going through this blog.